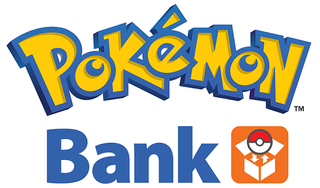 Pokémon Bank Update Is Live! Here's Everything You Could Possibly Want to Know. You can now send Pokémon to/from Sun and Moon. I mean, this was the obvious one, right? Well, there’s one little thing that shouldn’t come as a surprise, but it bears mentioning because some people were hoping this wouldn’t be the case: once a Pokémon has been saved to a seventh generation game(Sun/Moon), it can’t be sent to a sixth generation game. Even if there wouldn’t be any compatibility issues. Even if it’s originally from that game. So don’t send anything over until you’re 100% sure you know you won’t want it back- I never got around to nicknaming my Cinccino, so now I have to decide if I want to re-breed it just to give it a name or not. You can’t send PokéMiles to Sun/Moon, but you can still send Battle Points. Miles don’t exist in the seventh generation games, but thankfully converting them to BP is still an option. And given that it was always the better option, no real loss here. If you haven’t been touching Bank for a few months like me, you should have several hundred BP ready to send. You can get Mew’s exclusive Z-Crystal if you get the update right now. I say “right now”, but it’s supposed to last until October, so there’s no actual rush. There’s still no item transfer, meaning certain Mega Stones are still locked in Sun and Moon. Basically, any Pokémon not obtainable in Sun and Moon that isn’t also a Kanto starter can’t Mega Evolve yet. The Mega Evolutions are programmed into the game, but there’s still no legitimate way to obtain the stones necessary. Bank now tracks information from your games. This is both otherwise hidden stats like number of Pokémon caught or number of Eggs hatched, but it also includes the true new National Pokédex, which is assembled based on the information copied from the game you have connect to Bank. Kind of cool, but not much to do with it. You can now Hyper Train your otherwise inadequate Shiny Pokémon to make up for their IV deficiencies. AKA the main appeal of Hyper Training, especially since actually grinding to 100 strictly within Sun and Moon is boring. I’ve already used almost all of my Bottle Caps, but it’s been worth it to make some of my majestic shinies on par with something I would have bred or soft reset for. Now, it’s not just Bank that was updated. The Poké Transporter app was also updated, to deliver the promised ability to transfer from the Virtual Console releases of Red/Blue/Yellow to Sun/Moon. Just to make sure everyone’s 100% clear on this: it ONLY works for the Virtual Console versions of the original games, and the transferred Pokémon can ONLY be sent to Sun or Moon. That aside, one constant point of speculation for me was just how the conversion process was going to work, given that the Pokémon data structure changed massively when compatibility was broken between the second and third generations. Thankfully, hackers have already figured some things out, and one in particular is downright hilarious. All Pokémon have their Hidden Ability (where applicable). This actually was the most likely scenario, because it both makes the transferred Pokémon unique AND it prevents No Guard Machamp from ever having Fissure. All Pokémon are in a standard Poké Ball. This also makes sense, since ball tracking wasn’t in the original games. Transferred Pokémon can be shiny. The method for determining shinyness is based off DVs (Determinant Values, used to differentiate from Individual Values used in Gen 3 & onward), much like how it was in Gold/Silver/Crystal. However, it’s not the exact same formula- the checks on Attack and Defense are swapped from what they are in GSC. Whether this was intentional or a mistake is still up in the air, but I’m leaning toward the latter. IVs are assigned at random, independent of DVs, with a guaranteed 3 that are perfect. This is the one that really interests me- I don’t want to get into the difference between IVs and DVs now, because that would double the length of this article, but the fact that there’s no correlation is a little surprising. I can see why, though, given the numerous potential issues. The guaranteed 3 perfect IVs are a nice touch, certainly makes those transferred Ditto worthwhile. EVs are set to 0, StatEXP is ignored. StatEXP and EVs are another topic that would overcrowd the article if I went into detail, but basically they’re both stat bonuses that your Pokémon get for defeating other Pokémon. Because they’re so wildly different, this really was the only practical solution. Nature is determined by... your Pokémon’s current EXP. Seriously, this is pretty hilarious. There are 25 natures, and to determine which one your transferred Pokémon will have, Transporter calculates its EXP Modulo 25 (which means it divides by 25 and outputs the remainder). If you want to manipulate nature, Twitter user TheMantyke has a handy chart available here. You can’t send Mew unless it’s one of the special event ones. An event that never even came to America and was very limited in Europe, so good luck with that. This is probably because pretty much everyone knows how to glitch a Mew into existence in RBY by now. Fair enough. MissingNo can’t come to Alola either. I’ve also heard that MissingNo throws off your nicknames- so the Pokémon after it in the box is named MissingNo, the one after that inherits its name, etc. And that’s probably all you’d want to know about the new updates! Now enjoy actually having access to everything in Alola. Well, except for those Mega Stones. I miss my Mega Gallade.